Pine Straw is a beautiful bed covering when applied correctly. We believe Pine Straw is the best bed covering. This has not always been the case through the year’s people and I say again people have given Pine Straw a bad reputation. This reputation comes from not installing it correctly, and plain and simple not caring how the product looked installed. Professional Landscapers will roll your pines straw this gives it a defined curb (As demonstrated in the before and after photos below). They will also install it at the correct dept. 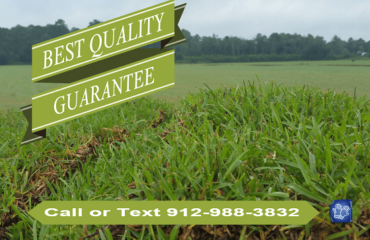 Why use Pine Straw in your Landscape. We have all heard or experienced the horror stories associated with Pine Straw. First Misconception – The one we hear most often is they attract roaches. Well roaches have been around for a while so they will adapt to any environment presented to them, as long as you have pest control you will not see roaches. 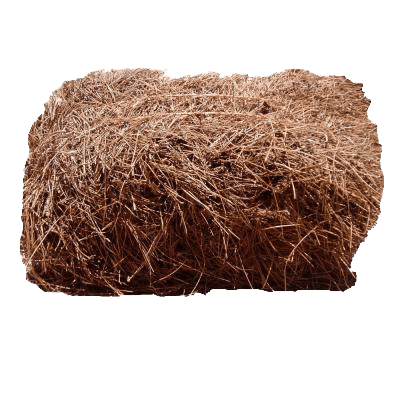 Second Misconception – Pine Straw blows away. This is sometimes true with Slash (Short Needle Pine Straw) this is why we recommend long needle Pine Straw. The needles are twice as long so when this straw is installed the pine needles interlock preventing them from blowing away. Third Misconception – Mulch last longer. This cannot be further from the truth. 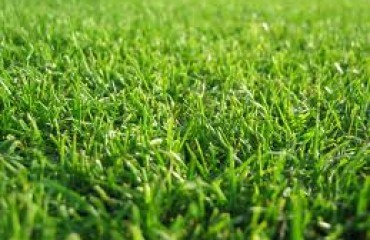 Good long Needle Pine Straw will last an average of one 8 month to a year depending on the weather. Mulch has the same life expectancy. After a year your mulch will start to lose its color. 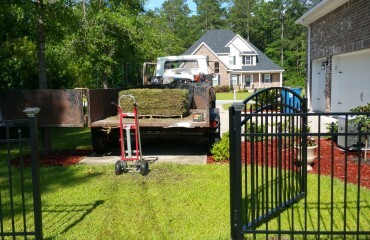 Our First Love – Is the beauty of the Straw, no other ground cover looks as good a professionally installed Pine Straw. Our Second Love – The price, this would probably be everyone else’s first. 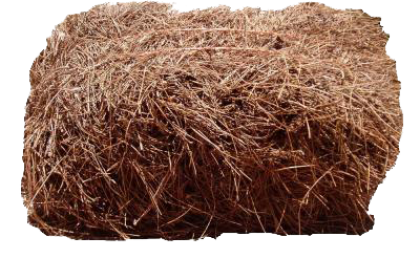 No other ground cover is as cost effective as Pine Straw a few bales can go a long ways. Our Third Love – Easy installation and handling. Bales are pre bundled and can easily be moved around the job site and easily applied to an area.